As many paratriathletes are aware, paratriathlon will be included in the Paralympics in Rio in 2016. Already, teams are starting to get ramped-up, and athletes are continuing to train in the hopes of representing their country in 4 years on an international stage. Triathlon is one of the fastest growing sports in the world as it is one of the only ones where both amateur and professional often race on the same course at the same time. Like-wise paratriathlon is growing with both athletes who have been physically challenged since birth or childhood along with athletes who became disabled later in life either from an accident, injury during war, or some condition they acquired. Along with the Paralympics, comes the long and difficult task of classifying athletes (see http://www.guardian.co.uk/sport/2012/aug/31/paralympic-games-guide-classifications ) based upon their physical challenge. This year’s games in London were not without their own controversy. Whether it was Oscar Pistorius competing in the Olympics with able-bodied athletes who felt he had an advantage or him competing weeks later in the Paralympics and then losing in the 200m race only to immediately complain that the winner, a sprinter from Brazil, was wearing blades that were too long, giving him an unfair advantage. I continue to have my own problems with the International Triathlon Union (ITU) since I start racing as a para-triathlete. There is a classification for dwarfism under TRI3, known as profile 25. Dwarfism is an OBJECTIVE diagnosis, and in my case, has been confirmed by my physician. I was born with it and acquired it from one of my parents through a genetic mutation. The ITU has a maximum height of 4’3” listed in the profile, even though the MEAN height of a person with achondroplasia (the most common form of disproportionate short-stature) is a ½ inch TALLER than this height. Their classification automatically eliminates more than 50% of all achondroplastic dwarves. When I attempted to be classified in 2011 at the NYC Triathlon, they measured my height, and as I knew would happen, I was too tall by ONE INCH. I asked them how this maximum height had been determined. The head classifier for the ITU was unable to answer my question. It is my opinion that some people sitting in a room made an arbitrary decision without doing any research. This sounds a lot like the black-out glasses that my fellow visually impaired paratriathletes have had to contend with. My only problem is, I am in this alone as I have yet to meet another dwarf para-triathlete attempting to get classified. I have waited now for more than a year for changes to be made, and still have heard nothing from the ITU. I have been assured they will have an evidence based classification system in place prior to RIO 2016. I only hope, as I don’t feel I would be able to wait another 4 years to try and make the Paralympic team for 2020. I will end with the following example of a classification problem in a swimming race I watched live online at the London Paralympics. It was the women’s final in the SM7 – 200m Individual Medley. This was the final where there had been 2 qualification heats prior to the finals. In the finals, the swimmer won the GOLD medal by finishing more than 10 SECONDS faster than the 2nd place swimmer. With a difference as great as that, there has to be something wrong with the classification system being used and the gold medalist should have obviously been in a higher class swimming against faster swimmers. There’s a fine line though for a Paralympian. Do you want to be swimming against comparable athletes, or is winning the gold, the only thing that matters? Interesting to note that this winner, swam in 8 final swimming events and won gold in all of them, winning most of her races by huge margins. This entry was posted in Sports and tagged achondroplasia, classification, Paralympics, paratriathlon. Bookmark the permalink. For some athletes with some types of impairments, classification is obvious. An above-knee amputee is S9 swimming, TRI2 triathlon, T42 athletics. A vision impaired athlete is classified based on eye tests. 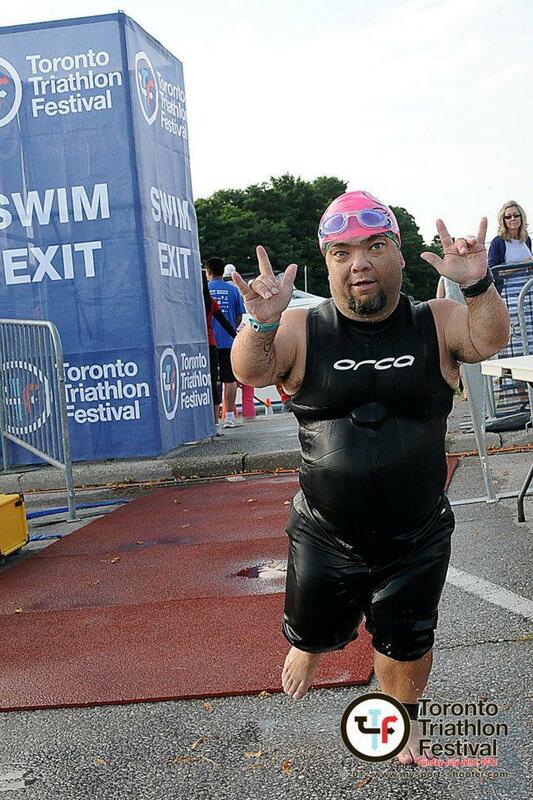 The ITU paratriathlon height limit for athletes with achondroplasia may be unfair, but it’s clear. (ITU paratriathlon classification is busted and unfair in all sorts of ways – but I won’t go there). 1. bench test of muscle strength, coordination or range of motion (whichever is considered most appropriate). 0-5 scale for each muscle group. 2. technical assessment in the sport you are being classified in. Classifiers can change the bench test numbers on the basis of this. A total score is calculated. It determines your classification. 3. observation in competition. In case they got it wrong at 1+2. Which brings us to Jacqui Freney (winner of the SM7 200m). And Mallory Weggemann. And me. On the men’s side, put people like Matthew Levy, Matt Haanapell and Justin Zook on the list. Jacqui Freney has cerebral palsy. She has more than enough spasticity in her arms and hands to bench test S7. She looks better in the water, and was actually classified S8 for most of her swimming career. Reclassified down to S7 in 2011. Prediction before the 2012 Paralympics: tight competition between Jacqueline Freney and Mallory Weggemann (who holds most of the S7 world records). Mallory is paraplegic. She apparently bench tests S6. After arriving in London, she was controversially reclassified S8. I’ve compared Mallory’s S8 times with Jacqui’s S7 ones. Mallory was faster in most events. I bench test S7. I was originally classified S7. Then observation in competition: 40-somethings aren’t meant to come out of nowhere to beat people on State SWD Squad. I now a hold a “fastest reclassification” state record. But still Review status… S7 in October, S8 in December, who knows what class I’ll be swimming in next year? Matt Haanapell went from S6 to S7 to S6, Jusin Zook from S10 to S9 to S10. Achondroplasia is usually considered an automatic S6, but Erin Popovich (taller than average) was reclassified S7. Are you getting the picture here?